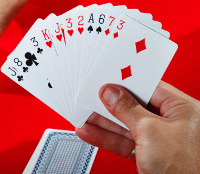 As you learn to play Bridge, it’s really important to practise – to apply the concepts that you have been given. 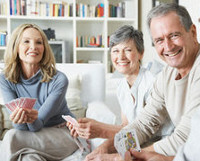 Supervised Play is the ideal format. 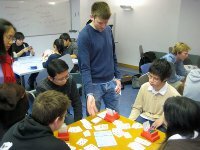 It’s an opportunity to enjoy playing Bridge in a friendly and encouraging learning environment. We reinforce key ideas and offer lots of help and advice. We provide a useful pocket sized ‘system summary’ or crib sheet. 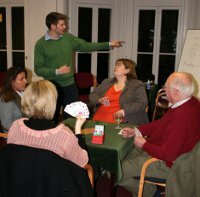 At the start of the session, we also run a short half hour lesson or ‘mini-lesson’. We cover a key idea or principle and discuss this together as we progress through the fundamentals. 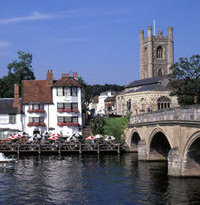 Sessions are held at the Red Lion in Henley on Tuesday evening. 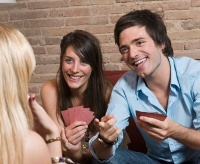 We play Rubber Bridge, Chicago, and Duplicate according to experience and preference. No need to book in advance or come with a partner – just turn up! All levels welcome. £10 for each 2-hour session.